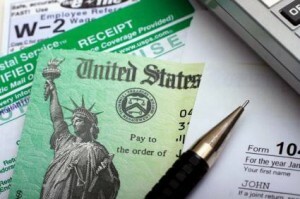 The IRS says the average tax refund check in 2012 tops $3,000. Whether you’re expecting a really big tax refund like that, or a just a couple hundred dollars back from the government this year, be sure you make some wise financial decisions about that incoming cash. It’s easy to just splurge on something you’ve wanted for a while and enjoy the extra money. But it’s important to remember that it’s still your money. The U.S. Treasury is really only giving back the funds you already earned and are rightfully yours. They were just holding it over the course of the year because you’d allowed the government to take out too much in taxes from your paycheck. According to a survey from TD Ameritrade, 63% of Americans are planning to save or invest at least some of the money they receive as a tax refund. Meanwhile, 14% of those surveyed plan to spend their tax refund on luxuries like a new mobile phone or travel. And roughly half (51%) said they will use the money to pay down debt. 1- Replenish or build your emergency fund. How much do you have sitting in your emergency savings account right now? 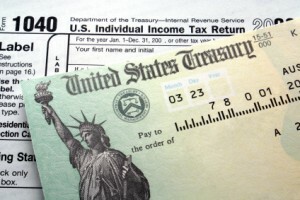 You could use your tax refund check to replenish any funds you ended up using over the year. Likewise, you could simply build up your existing nest egg so you have more cash available in the event of unforeseen events. 2- Slash some credit card debt. Do you have some large credit card balances that just never seem to go down? If you’ve only been making the minimum payment on these accounts for a while, use some or all of your tax refund check to pay down a good chunk of debt. Reducing your debt load can improve your credit and also lower your monthly payment obligations. 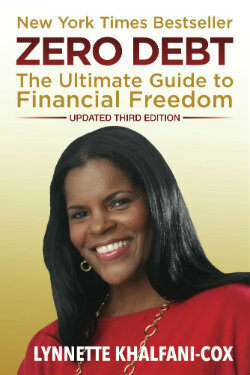 3- Get financial advice from a professional. Talk to a financial advisor or personal finance specialist about putting together a good budget and allocating your tax refund check towards various expenses and/or loan-term goals. Sometimes reorganizing your budget can help you get a better handle on your finances and you can use your tax refund check to create a better plan. You could also talk to a financial advisor about your investing options and decide whether investing a portion of your refund check makes good financial sense for you at this point in time. 4- Invest in yourself or your career. Have you been struggling to maintain a healthy weight for a while? Are you striving to build a side business so you can branch out into entrepreneurship in a year or so? Consider using your tax refund check as an investment for something positive in your life. Whether it’s hiring a personal trainer or nutritionist, attending a business conference that will help you connect with other professionals in the industry, or even going back to school so you can learn how to run a business, think of ways that you can improve yourself or your career. Your tax refund check could be just the funds you need to invest in yourself. 5- Make an extra payment on the mortgage, car loan or student loan. Paying down larger loans like your mortgage, a car loan, or college debt can help you reduce your debt repayment period and lighten up your debt load overall. Making a lump sum payment towards these debts might feel good, but to give your credit score the biggest possible boost, focus on paying down credit card debt first. Maybe you don’t have any credit card debt, though, but you do have other big debts If that’s the case, and if reducing your debt is one of your biggest financial goals for the year, use that tax refund check to get yourself on the fast track to reaching it.